Global Talent Idaho sincerely thanks Lisa Hamilton and Melissa Thometz from Cap Ed Credit Union for presenting to GTI’s Professional English Class about budgeting and personal finance. 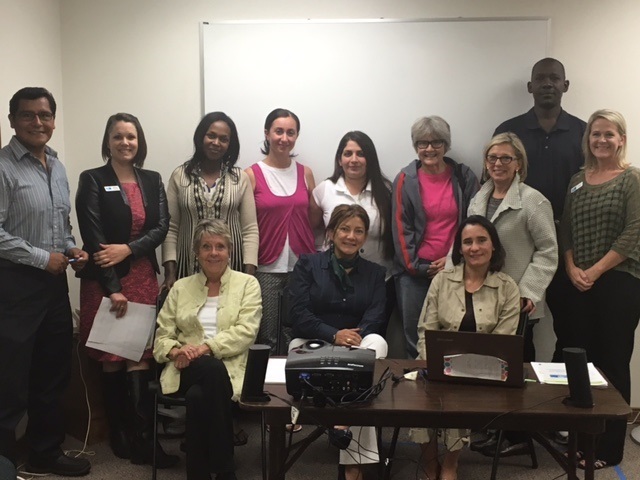 Over the last two weeks, Lisa and Melissa taught our job seekers how to build, maintain and understand their personal credit scores, budget and finance with savings accounts and Certificates of Deposit, what types of loans are available and which ones to avoid, and how to build emergency funds. They also answered numerous questions from the audience, which included refugees and immigrant job seekers from around the globe. Presentations like these are incredibly valuable for most refugees and immigrants resettling in the U.S. Since many of them have little knowledge about the U.S. banking and financial system, a lot of these individuals struggle to build credit and often find themselves at the hands of predatory lenders and identity thieves. By creating opportunities like these that allow for open dialogue and discussion on how to become more financially stable, it encourages these individuals to take charge of their finances and make the right decisions. “I found the class very helpful. The information was clear and the facilitators were very knowledgeable in what they taught us,” stated an immigrant from Mexico. Throughout both sessions, everyone learned something new. With more than nine countries represented and varying levels of English, plenty of cross-cultural learning took place. Lisa and Melissa did an excellent job facilitating the class and making sure that everyone was able to participate in the discussion. If you are interested in participating as a volunteer or want to host a presentation that you think would benefit our Job Seekers, please contact Travis Thompson, GTI’s English Program Coordinator, at tthompson@glotalent.org.